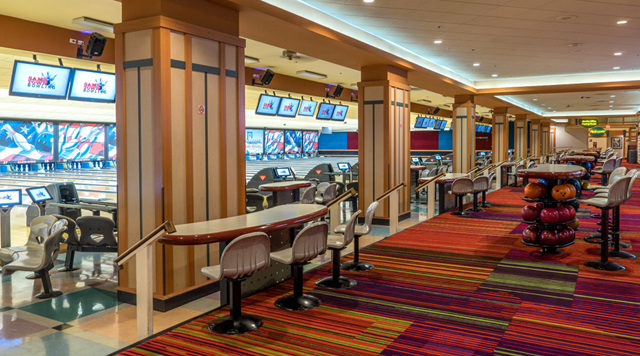 Our Bowling Center is open 7 days a week offering 56 lanes of automatic scoring and bumpers for young children. We have a Full Service Pro Shop by K&K Bowling Services, a Snack Bar, and a Cocktail Lounge. Bowling with an attitude is at Sam's Town every Friday & Saturday night! The Xtreme Bowling Experience is a combination of state-of-the-art disco-style lights and special effects that transform the bowling center into a nightclub with bowling lanes. Join us from 9:00pm - 2:00am.